Dijkstra, H. (2017). Collusion in international organizations: How states benefit from the authority of secretariats. Global Governance, 23(4), 601-618. Delreux, T., & Adriaensen, J. (Eds.) (2017). 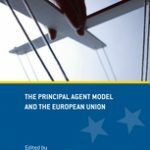 The principal-agent model and the European Union. (Palgrave Studies in European Union Politics ). Palgrave Macmillan. Laczo, F., & von Puttkamer, J. (Eds.) (2017). 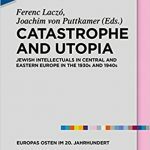 Catastrophe and utopia: Central and Eastern European Jewish intellectuals in the 1930s and 1940s. (Europas Osten in 20. Jahrhundert; No. 7). Berlin: De Gruyter Oldenbourg. Schakel, A. (2017). Interim report on updating the regional authority index (RAI) for 28 European Union member states (2010-2016). European Commission.